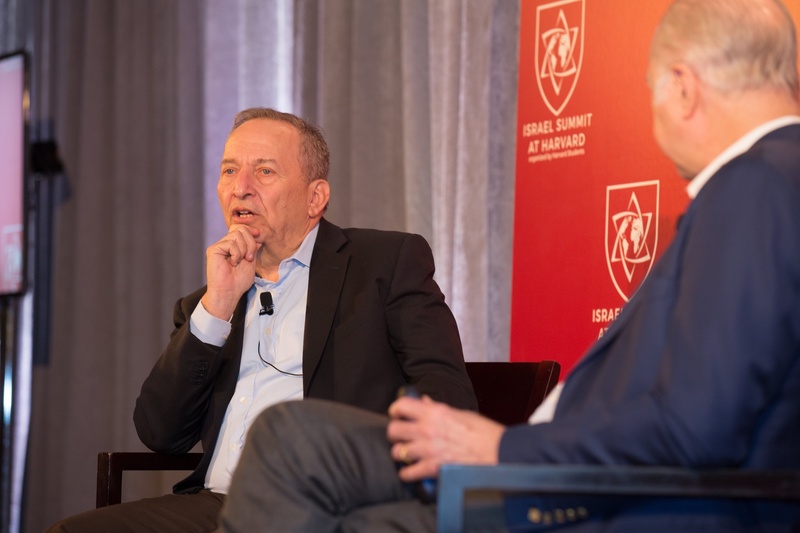 Former University President Lawrence H. Summers speaks at the Israel Summit. UPDATED: April 11, 2018 at 2:00 a.m.
Harvard hosted its first-ever Israel Summit Sunday, bringing together affiliates from across the University to learn about all things Israel at the Charles Hotel. The Israel Summit was “aimed at broadening all students’ horizons on Israel,” according to its website. The event featured speakers from multiple industries, ranging from public service and non-profits to tech and academia. Notable speakers included University Provost Alan M. Garber ’76, who gave opening remarks, fashion designer Elie Tahari, former University President Lawrence H. Summers, political analyst and former presidential adviser David Gergen, NBA allstar Amar'e Stoudemrie, and Ron Prosor, a former Israeli ambassador to the United Nations. Conference director Max W. August ’20 said the summit was meant to reach a new kind of audience and to encourage conversation about issues involving Israel. “Issues around Israel are complex, and I think they’re often times misunderstood,” he said. Attendees numbered over 400—in addition to thousands who watched online—and included student representatives from every Ivy League school, according to August. August said the summit’s organizers—comprising a team of students from across campus—raised nearly $200,000 for the event, which was co-sponsored by Hillel International, the Paul E. Singer Foundation, and Birthright Israel Excel, in addition to several other organizations on and off campus. The College Democrats, College Republicans, the Leadership Institute at Harvard College, and a number of other student associations from the University's different schools also threw their support behind the event. August said these clubs' support and help mitigated some of the challenges inherent in organizing something on the scale of the Summit for the first time. The summit in part featured “Fireside Chats,” in which smaller groups of attendees chatted with speakers directly. The event also included a career fair during which attendees met with potential employers and non-governmental organizations working in Israel and other countries to discuss summer and post-graduation opportunities like jobs, trips, and fellowships. Career fair participants included Via, MassChallenge, and Fiverr. Sivan Ya’ari, the founder of Innovation: Africa, a non-profit organization that aims to share novel Israeli technology in fields like renewable energy and water purification with African nations, said she participated in the summit to encourage students to become involved in issues related to Israel. “The reason why I came was because many of the students here are the future leaders and I was a student when I started and I hope that some of what I said will inspire them to do the same,” Ya’ari said. Jonah C. Steinberg, executive director of Harvard Hillel, praised students for their commitment to planning the summit. “It goes to show that when students have an idea and if they stick to it, and really are committed to the vision of it, they’re able to raise the bar, and I’m just honored to be a part of it,” Steinberg said. August said he hopes that the summit will continue on annual basis and that the footage of the summit, when released, will reach thousands of people. A previous version of this article incorrectly identified Onward Israel and TavTech as participants in the Israel Summit Career Fair. In fact, these groups only participated in a "Special Opportunities" segment of the summit. Due to an editing error, a previous version of this article incorrectly identified the gender of Sivan Ya’ari. Moving forward, the United States needs to make good on the President’s recent signals and reassess the nature of its relationship with Israel, especially with Mr. Netanyahu in power. 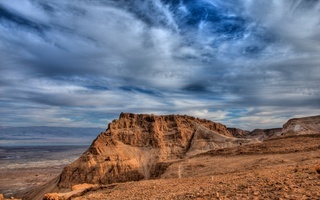 Unfair public pressure seems to be placed on Israel regarding the peace process. The Palestinian Authority routinely glorifies terrorists, recently lost a major U.S. court case for supporting terrorism, and formed a unity government with the terrorist organization Hamas. Twenty-one Harvard faculty and graduate students have voted or signed a petition to place a resolution to boycott Israeli academic institutions on the American Anthropological Association’s spring ballot. Jewish Harvard affiliates are mourning the loss of former Israeli Prime Minister and Nobel Peace Prize Winner Shimon Peres, who died Wednesday at the age of 93.